Since 1989, ACEGREEN SEED was established in Tainan, Taiwan. We specialize in the breeding, production and promotion vegetable seeds of hybrid watermelon, melon, tomato, pepper and eggplant seeds. 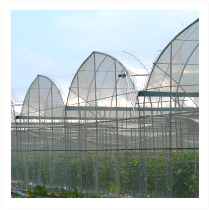 We always supply good quality, easy growing, high yield, good disease resistance and widely accepted varieties. Lots of varieties are popular in many countries and received positive feedback from consumers and farmers. Please contact us if you need more information.